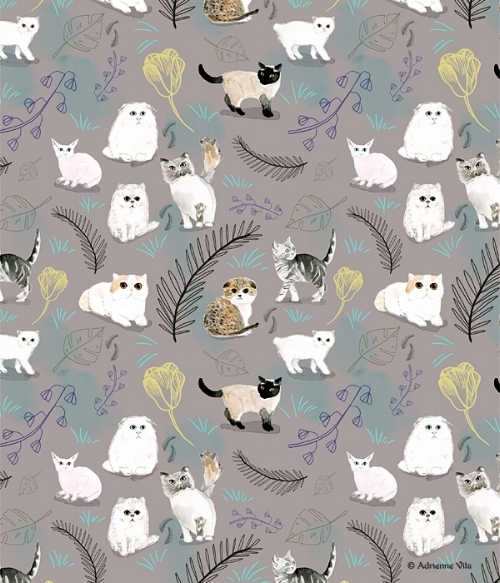 I spent a little time around cats recently and for this weeks art I was supposed to make floral repeat patterns... so I thought it fitting to add some cats to it! I love things that are unusual and unexpected. On the mystical side, cat animal totems mean mystery, magic and independence. They embrace the spirit of adventure, curiosity, patience, and a deep, relaxed connection with the self. They can also help you with knowing when is the right time to act. They also symbolize strength, confidence and fearlessness.